Dimensions: H33cms x W40 x D13.5cms 25 litre capacity. Requires Brompton Front Carrier Block & Brompton Front Carrier Frame for fitting to bikes (SJSC #644 & #647). 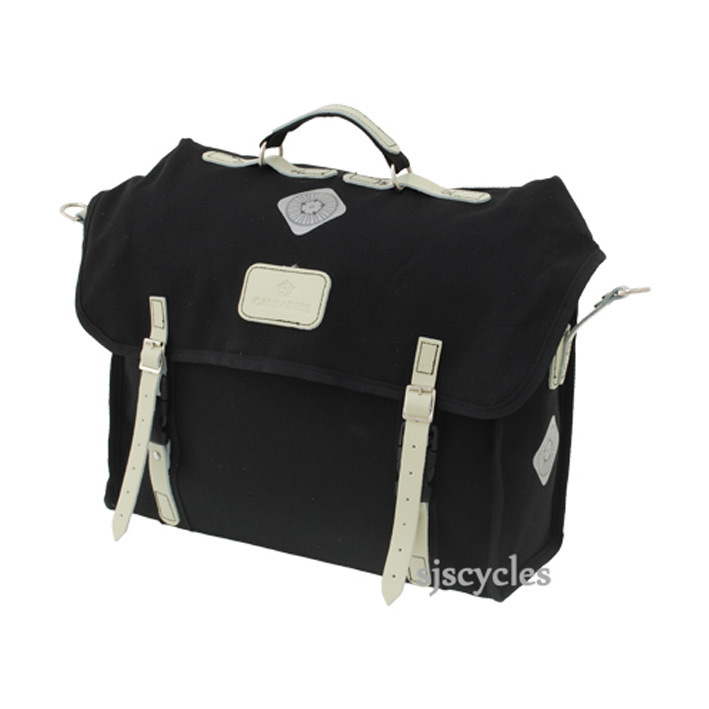 This multipurpose bag is a great solution to carrying things on your Brompton. While it is designed as a briefcase, it is large enough to serve as a general carryall for the occasional small load of groceries or clothing for an overnight trip. Multiple pockets add convenience and it is very easy to mount/dismount on the bike. The build is superb and signed for by each maker (thank you, Emma and Sue of Carradice for your cut/sew work on my bag!) This looks like a better value than the Brompton branded bags and I recommend it. Such a great bag! I'm a fan of Carradice anyway and have one of their saddlebags which was just a little impractical for the Brompton commute. Hence buying this. Its super easy to get on and off the bike to get on the train, and looks so stylish on the bike. If its anything like the saddlebag then it'll last forever and the duck cotton is great at repelling water. Does a 15" compact laptop (Macbook pro) fits inside this bag ?